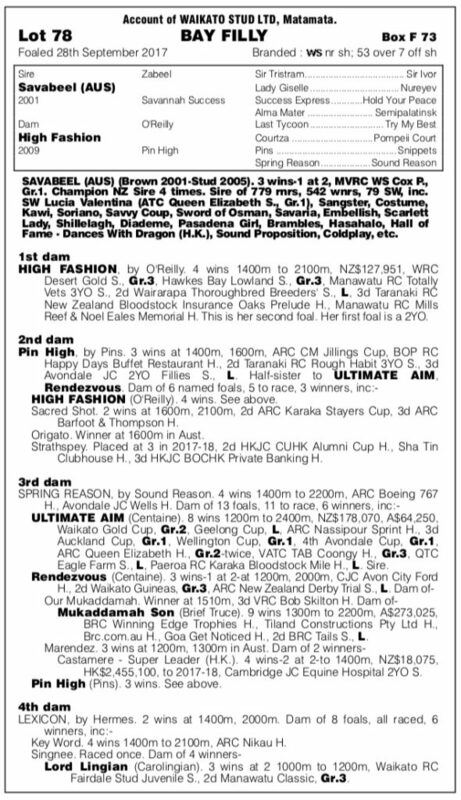 This filly is another classic Waikato Stud product, by champion sire Savabeel (Zabeel) out of a mare by their champion sire O’Reilly, in turn out of Pins mare, and thereafter a mare by top broodmare sire Sound Reason. High Fashion was an immensely talented race mare with a terrific turn of foot, winning four races including victory in the prestigious Desert Gold Stakes (Gr. 3, 1600m) and Lowland Stakes (Gr. 3, 2100m). 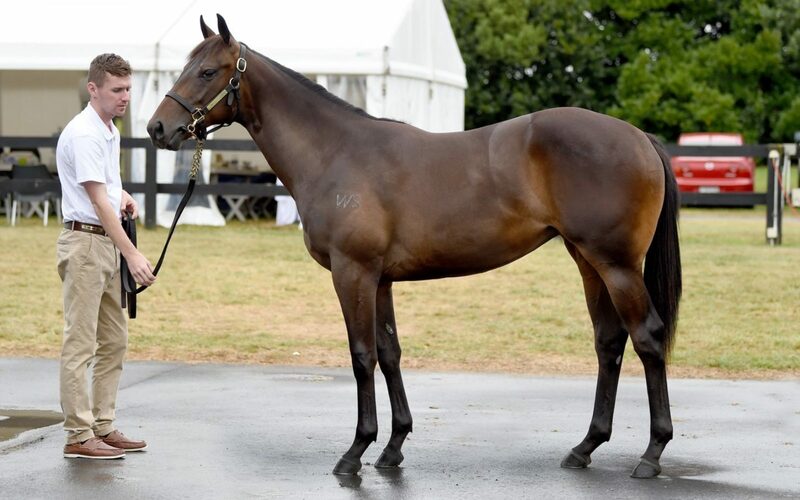 “She’s a really high quality looking filly with plenty of length and a very good mover,” said Te Akau principal David Ellis. “She’s a filly that we wouldn’t rush, but could develop into an autumn two-year-old before training on at three towards races like the Eight Carat Classic and Royal Stakes, in preparation for the NZ Oaks at Trentham.